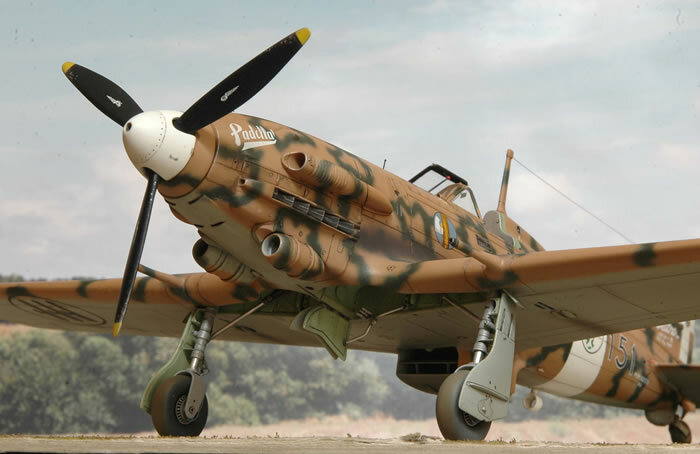 Contact Maurizio Di Terlizzi for pricing and availability information on Tail Boom's Macchi C.205 upgrade set. 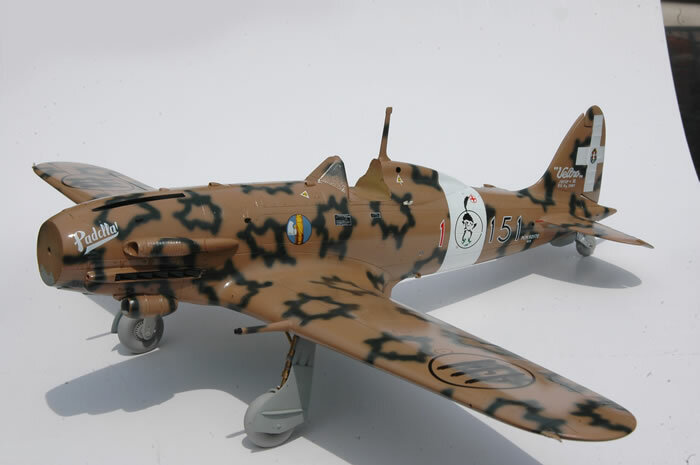 Every time I build a Macchi, my choice is the good Pacific Coast Models kit, in 1/32 scale. This is a very nice model, reasonably correct in dimension and shape, but with some incorrect points. 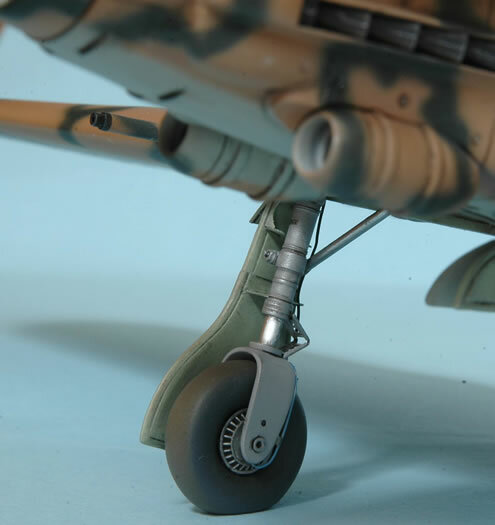 Some millimetres are missing from the spinner backplate, the need to cover the gear bay, the shortness of cannon, the undersize of the tail wheel and main wheels, the missing of many particulars, has led me to realize a set for my own. Because I was tired of making the same parts from scratch or “borrowing” some parts from other kit, or to cast every time the same particulars, I decided to use “this-time-Veltro” as a prototype for my kit. I started from the worst part, that is the main undercarriage legs, too bold and without fine details. They are also wrong in length, by some millimetres. The error is to copy Museum’s preserved aircraft, where the missing of guns, ammunition, bullet proof plates, oil and fuel makes the aircraft very very light respect to a wartime aeroplane. So I carefully measured the real legs, then realize a drawing considering the weight of an armed machine. 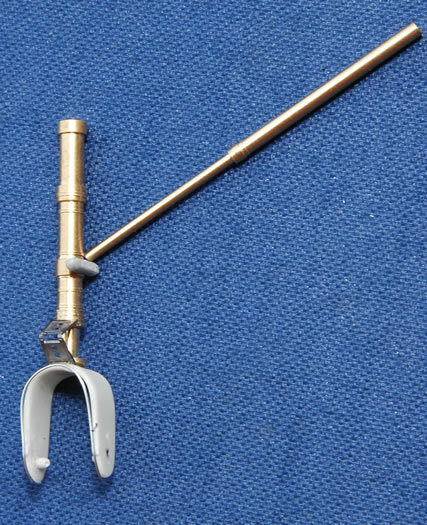 Then the drawing has been transformed in brass legs and actuators jack by a specialized firm that used computer controlled machine. The result was stunning. 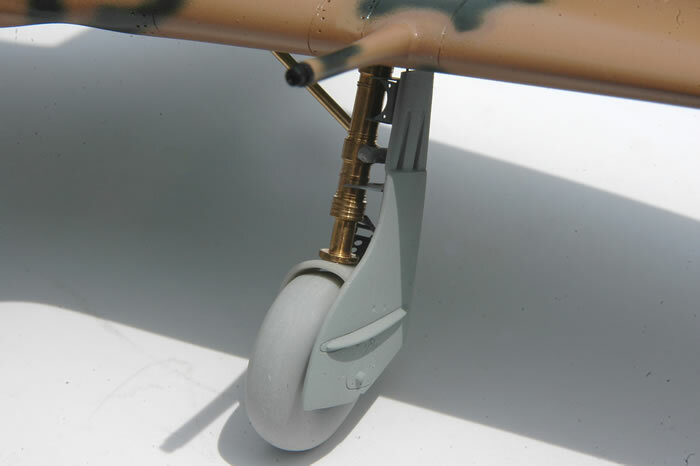 I also used the wheels, the forks, the cannon, the control stick, the tail wheel assembly, the spinner and its backplate, the undercarriage bay, the oxygen regulator and many other parts. The good is that many more were saved for other planes, even not a C.205. 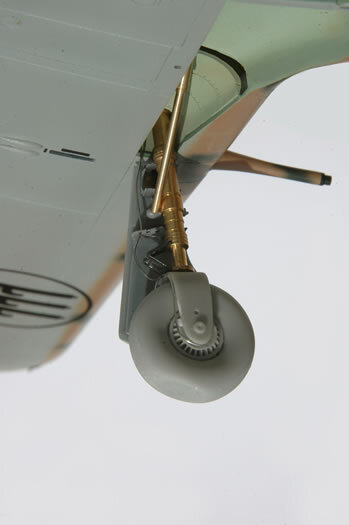 So I spared early type stick, ailerons, San Giorgio type B gunsight, drop tanks, racks and a useful Revi 12/c German gunsight, as many ANR Veltros were equipped with this gunsight. I decided to depict “Padella” (Pan), a very special Veltro for me. 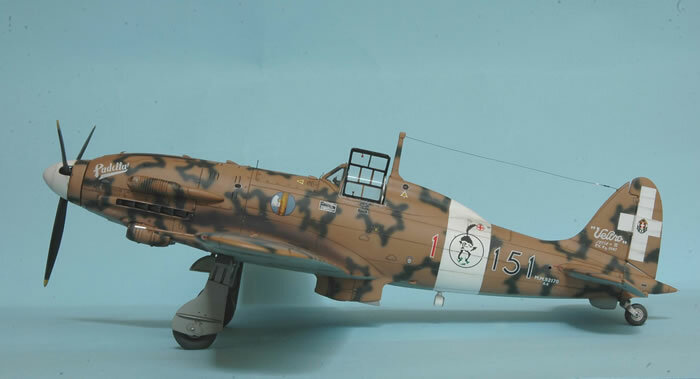 It was used by a dear friend of mine – now deceased – Maresciallo Ennio Tarantola, the famous “Dai Banana !” pilot with the 51st Stormo in Sardinia, during the summer of 1943. 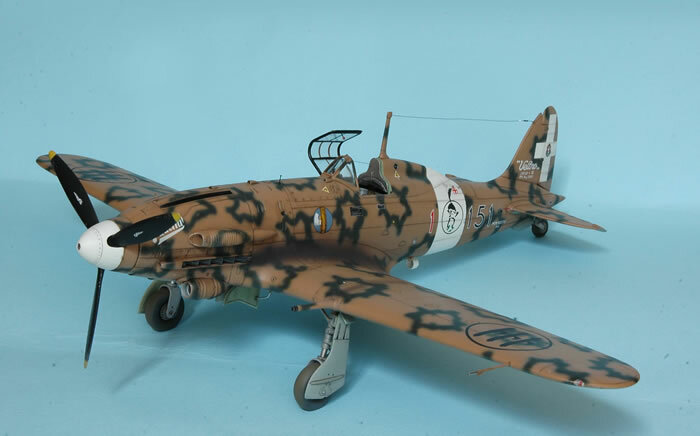 This was not his personal aircraft, but was the one of the unit CO, Capt. Morino. The ground crew fooled him around because he was not…an ace, and so painted this writing on the nose. 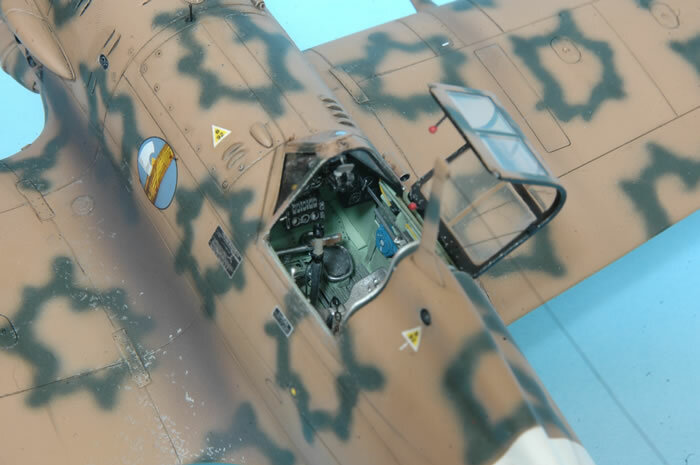 The unit was scarce of Veltros, and Tarantola on 2 August 1943, fought an epic battle with P-38s and P-40s off the sardinian coast with a C.202. 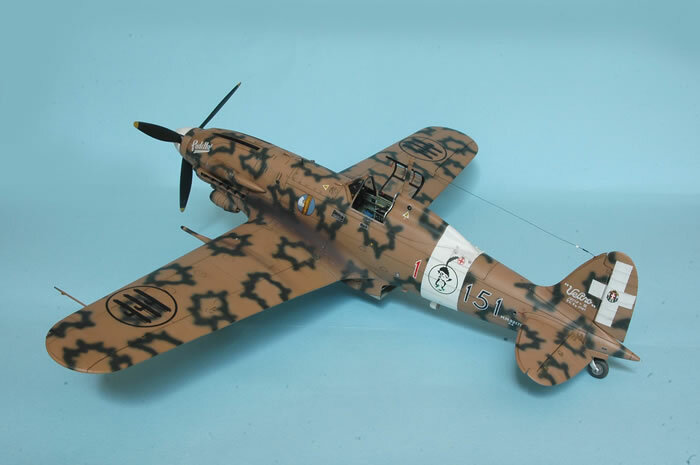 Once expired fuel and ammo, he came back to bas, and took off again in Morino’s Veltro to gain several kills. 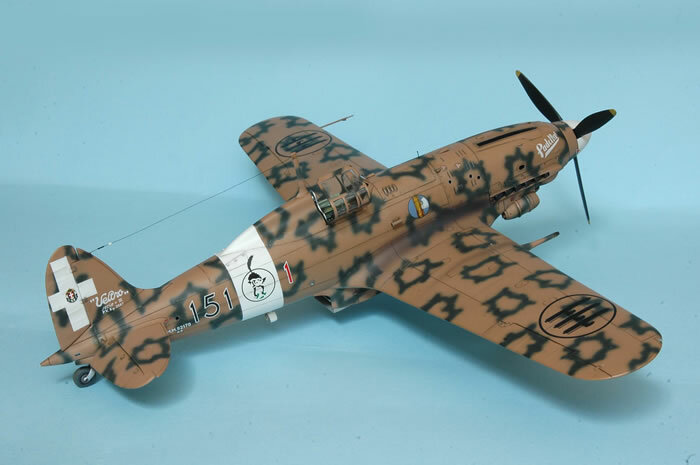 This particular aircraft survived the war and fought again in the Liberation War in the Balkans, this time against Germans. 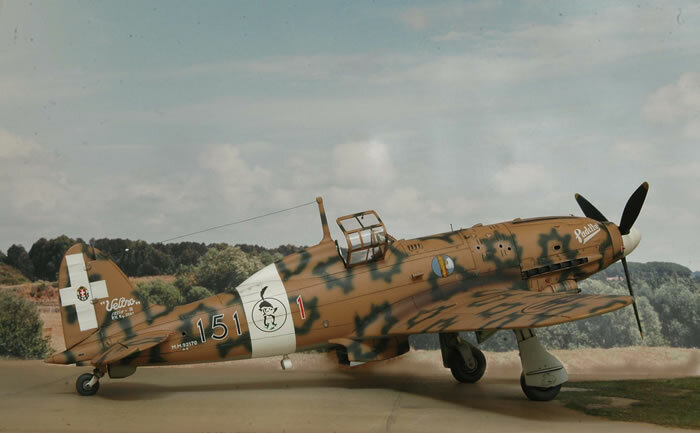 I painted the model with Gunze Sangyo acrylic paints, namely H-310, H-65 and H-324, after two light coat of Future, Chris Busbridge’s beautiful Macchi decal sheet was used. 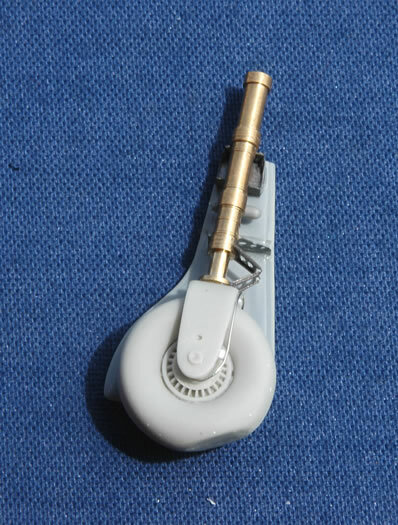 The two light coat of Vallejo Air satin completed the painting. 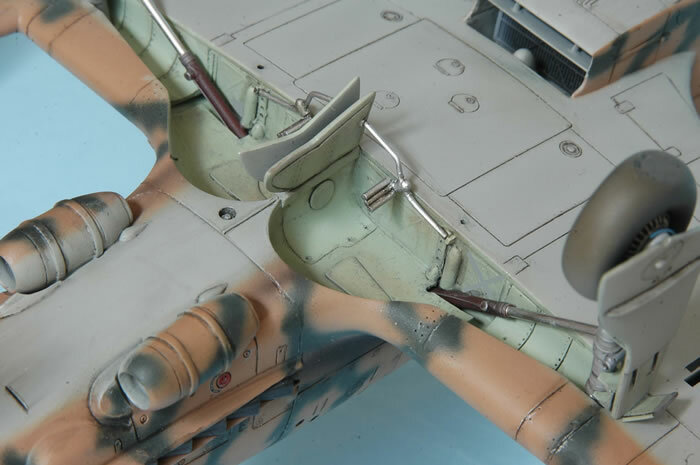 A light exhaust stains and weathering was added, because the plane was brand new as it was delivered on July the 15th, 1943. I am very happy with the result, especially because the resin/brass set worked well in realism and completion of details. My Macchi collection is growing slowly…….but growing.